Never underestimate the importance of content and marketing. These are they crucial to running a successful site. Quality articles will always attract readers to you. On the other hand, you can have quality content, but if you are not currently promoting your website, it doesn’t matter. Ensure that your site is as effective as possible by taking advantage of both quality content and promotion. If you are starting right from the very beginning, you will need a website domain and web hosting to make your own blog. I recommend choosing a service that combines it all for you with a 1-click WordPress installation blog. Make a habit of responding to reader comments. Connections enable you to gain repeat visitors subscribers and referrals to friends and loved ones. If you feel like dropping everything and leaving your site, consider that you won’t just be disappointing yourself, but your readers, as well. Don’t let the opinions of others dictate your behaviour on your site. Unless you are going for the controversial strategy of religion and politics! Choose topics that will give value and don’t worry about any haters. Although, you may want to disallow comments that are offensive. I made the mistake of adding way too many plug-ins to my site when I first got started! Check to be sure you have not overused plug-ins, Adsense postings, images or keywords. Because, overloading your site with these components will slow down the pages, and then all of your hard work will have been wasted. Don’t forget to write for people first – not search engines. That means writing in a smooth, natural way. It is actually good to use short forms and “text talk” when composing your blog posts. If you use a normal way of writing like how you talk from time to time it is more engaging. Times have changed and not many people are looking for long essays anymore. Make sure you have a page where people can contact you. Your readership will include many individuals that are different, and those opinions that are varied are an advantage. Your readers are the ideal way to discover what’s good and bad about your site. Moreover, as your blog grows people can reach out to you to pay for your services or sponsored guest posts. 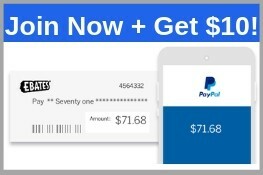 This is a great way to build an extra income online. It is very smart to have a plan before beginning your blog. It’s just like creating a company or business. When you start a business plan you write down your objective, goals and strategy. Do the same thing for your blog and you will need to think of your blogging as a business. You will concentrate better on your goals and stay on track to meet them. Add posts often and at about the same time each day/week. Composing on particular days lets the readers know what to expect. Readers enjoy this kind of structure and especially like knowing when new content will be available. Then it minimises low website visitor statistics and enhances audience interest. As soon as you can write about a variety of topics within your niche create a publishing schedule. In summary, frequently add blog posts. New bloggers make the mistake of neglecting to update their sites enough and then starting up a new site. As a result, they wait for visitors and sales before taking any action, only to find there are none. Avoid this and turn it into a winning situation. This can be done with weekly updates of your blog site. Additionally, always send out an email letting readers know when you have submitted material that is new. I use Aweber for sending out my weekly updates and I think it’s the best for conversions. Consider ways to make your blog posts stand out from the crowd. You must keep creating ideas to hook readers, and give value. Some basic examples are by bolding your keywords, as well as making interesting titles and headings. 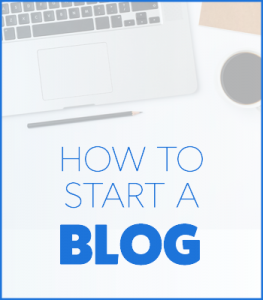 I hope that this has helped you to learn the answers to how do you make a blog so that you can take action and gain more freedom.